In a few years we may well look back on 2017 as the year the hard disk era finally succumbed to rise of all-flash solid-state storage. In a few years we may well look back on 2017 as the year the hard disk era finally succumbed to rise of all-flash solid-state storage. With the costs of adopting these technologies falling and significant savings joining the long-held performance benefits, and as use cases in hybrid cloud and software-defined storage become ever-more compelling, the demand for all-flash will continue to grow and fuel digital transformation. Today, EMEA organisations need to support new applications and processes designed to drive value by creating faster, more compelling experiences for internal and external customers. The new digital world is all about social, mobile, cloud and virtual technologies. In fact, 80 per cent of businesses believe digital transformation is now a reality for them, according to the HPE Digital Transformation Index. The current “digital first” culture at HPE is all about time to market, and perhaps even more importantly, time to value. That requires breaking down the traditional technology siloes and moving away from decisions being made solely by IT leaders, with application development and even business development teams increasingly playing more significant roles in deciding what solutions, systems and processes are used. This is a far more agile and responsive approach, and crucially one focused on cost optimisation and driving competitive advantage. But all of this requires a new approach to storage. Magnetic spinning hard disk storage runs almost completely contrary to the way we think about systems in this new era of digital transformation. In fact, the data processing bottlenecks and constraints inherent with this technology can be a major roadblock to innovation and growth, with older HDD-reliant systems unable to support the rapid iteration of new features, apps and services that our modern businesses and organisations are increasingly demanding. 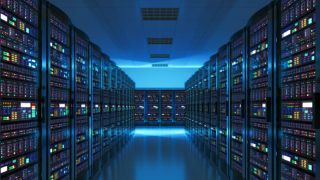 However, this flash-wards shift is by no means an overnight phenomenon, the move towards the all-flash data centre saw a number of distinct waves. The first of these waves was driven by performance enhancements. Solid state drives (SSDs) were added to arrays to support workloads when all-flash was perceived as a more expensive medium, used initially to accelerate individual workloads for mission critical applications – for example facilitating stock market trades in financial services firms. The second of these waves was driven by economics. The total cost of operations (TCO) savings facilitated by all-flash arrays accelerated investment in SSDs, improving performance while keeping overall cost at hard disk drives (HDDs) levels. Today, we are in the middle of the third wave of this all-flash revolution. The current pressures on IT to consolidate more data on less infrastructure, driven in large part by the exponential expansion of application development in the data centre and data growth, are significant. As part of this drive for faster, more responsive, agile and efficient IT systems that can keep pace with these high levels of data growth and app development, organisations are increasingly embracing hybrid cloud systems and software-defined storage. Both of which go hand-in-hand with all-flash storage solutions. These all-flash storage solutions can improve the performance of most applications 10-fold – enabling modern enterprises to drive digital change with consistently high performance at scale, and across the multiple workloads and environments which is demanded by the hybrid cloud model. This trend will continue for some time, and as it does, we will see more enterprises adopt an all-flash mindset as they seek to transform their organisations for the data economy and set themselves up for future success. When organisations look at transitioning to an all-flash model, IT buyers need to focus less on performance – which is for all intents and purposes a given with flash – and concentrate more on four key pillars: app ecosystems, operations, risk, and future investments. Firstly, these decision-makers need to consider how well all-flash can support their key app workloads natively, and whether quality of service (QoS) policies can be applied on an app-by-app basis. They should be asking questions about whether provisioning can be integrated into the hypervisor or server provisioning toolset, and whether the platform supports containers natively as well as virtual machines. They need to be thinking about if it provides a flash-optimised and integrated copy management platform for modern day backup/restore/cyber security protection, and if it meets disaster recovery needs without compromise. A further consideration that should also be factored in is whether the platform, as bought today, can be easily upgraded to incorporate tomorrow’s technology – for example non-volatile memory (NVMe). Operating expenditure (OpEx) should also be a key consideration, with consumption-based purchasing coming in at around 5-10 cents per GB of protected all-flash storage per month, this will become an increasingly favourable model. Going down this route should also allow the trading in of legacy HDD based storage. This means purchasers receive automatic and built-in technology refreshes, and have the flexibility to grow and shrink consumption on a month-by-month basis. In addition to pricing, here buyers should look at solutions which offer high IOPS (input/output operations per second) at predictable response times under one millisecond; provide enterprise-class mission-critical availability and zero data loss; and petabyte scale. Flash media warranties and support periods seem to cause quite a bit of confusion in the market, so buyers should ensure they know what they are getting in this regard. Generally speaking you can expect five years of warranty for replacements and an additional two years with support contracts – both regardless of wear-out status. It goes without saying that customer references, industry awards, benchmarks and analyst reports are always a good source of independent information to help inform these purchasing decisions. As we approach the end of 2017 and look back on year to date, we can see all of the various trends and elements emerging which are driving the rapid adoption of the all-flash data centre for primary workloads. Before long all-flash will achieve dominant status in the market. And rapid though it is today, adoption will also accelerate over the years to come with the advent of “flash apps”: a new breed of big data applications designed to capitalise on the significant performance improvements offered by SSA technology to process huge volumes of data in near-real time. Similarly, in 3D-QLC (quad level cells) there could be a ready-made replacement for archive-grade HDD. It is very clear that wherever you look, the future is flash.